Did you know that New Super Mario Bros. Wii isn't just a game? According to Rev. Jim Osborne of the Landover Baptist Church, it's also a "homosexual recruiting tool." What prompted Rev, Osbourne to point his pastoral finger at the platforming plumber's latest outing (pun intended)? For starters, GayGamer.net posted photos of some of its readers attending a launch party for the game. Also, I hyped its release in a post titled, "The headline says it all: 'New Super Mario Bros. Wii is as hard as Contra.'" Rev. Osbourne isn't the first member of the Freehold, Iowa-based church to rant and rave about the Mario series' subliminal gayness. 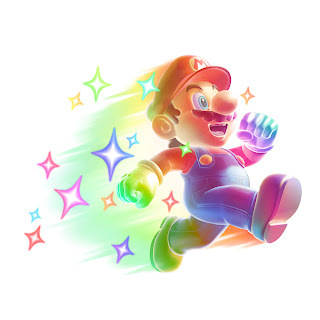 A few years ago, a certain Jeb Thurmond wrote the following about Super Mario Galaxy: "This game is just another homosexual recruiting tool made by the neo-sodomites of Ninendo." Note: The Landover Baptist Church is a fictional Baptist church based in the fictional town of Freehold, Iowa, and Rev. Jim Osborne is its fictional director of fundraising and tithing. Oh, and thanks to reader Genoskill for pointing out these hilarious articles/posts! Wow. So...he's satirical? Did I read that correctly? I certainly hope so.